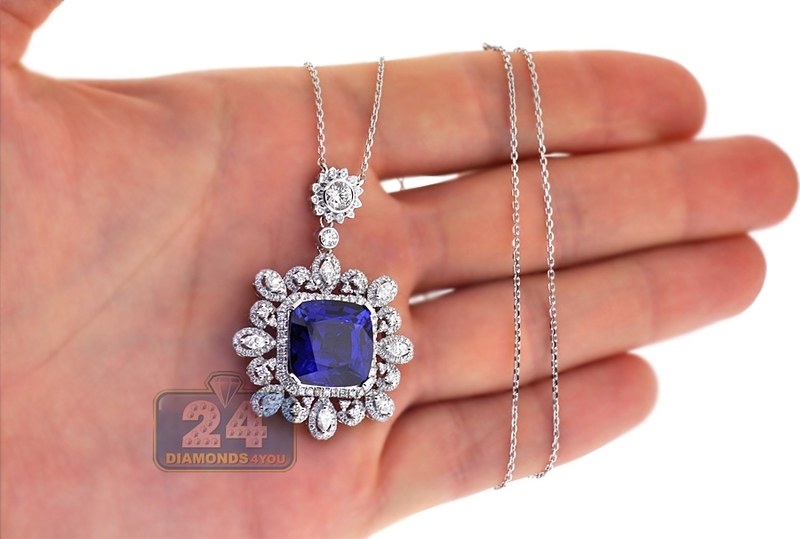 Our diamond gemstone pendant is the real definition of fabulous! 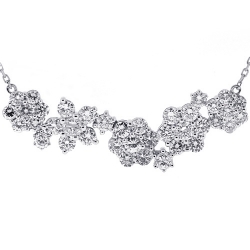 It's artfully created from 18k white gold with highly polished shimmering finish. The center features cushion-cut diffused blue genuine sapphire weighting 16.02 carats. It's surrounded by 2.31 carats of icy white round brilliant-cut natural diamonds. 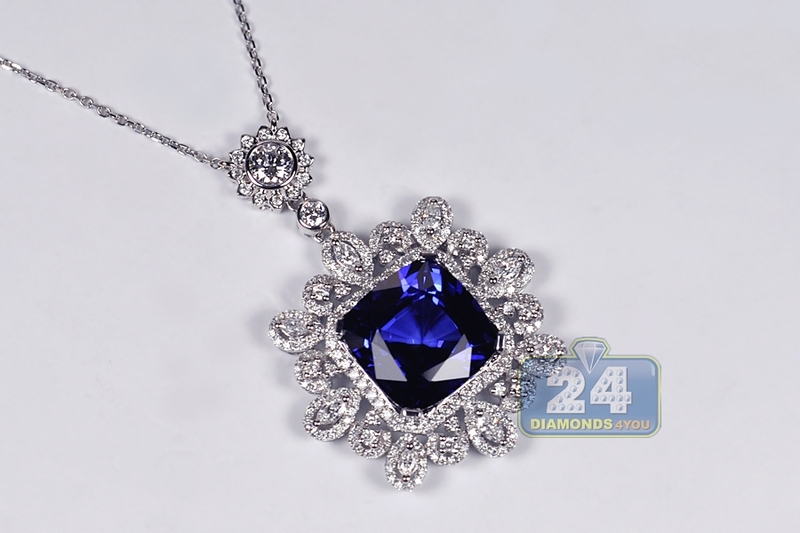 The piece measures 16.5 inches in total length, and the pendant is 45 x 30 mm. 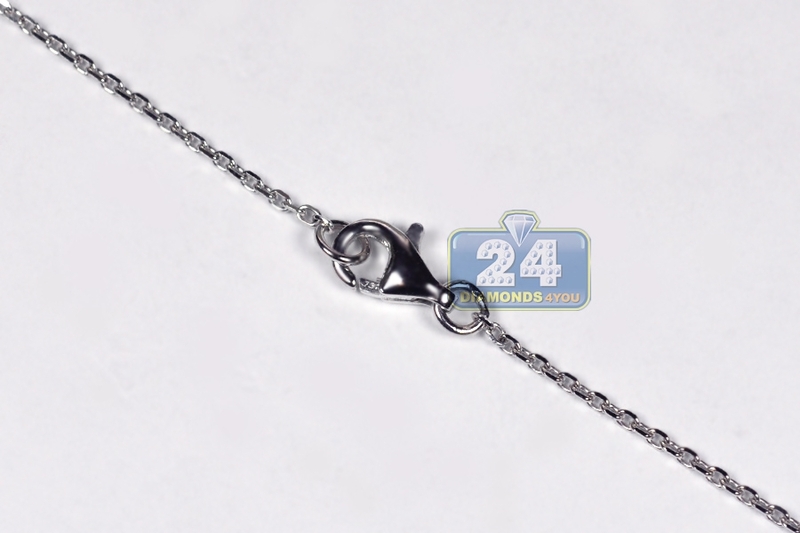 It's also has a user-friendly lobster claw clasp. 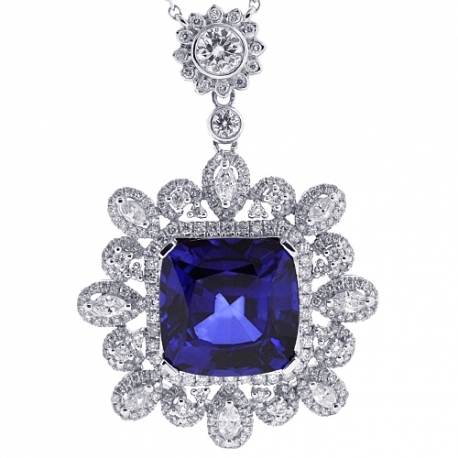 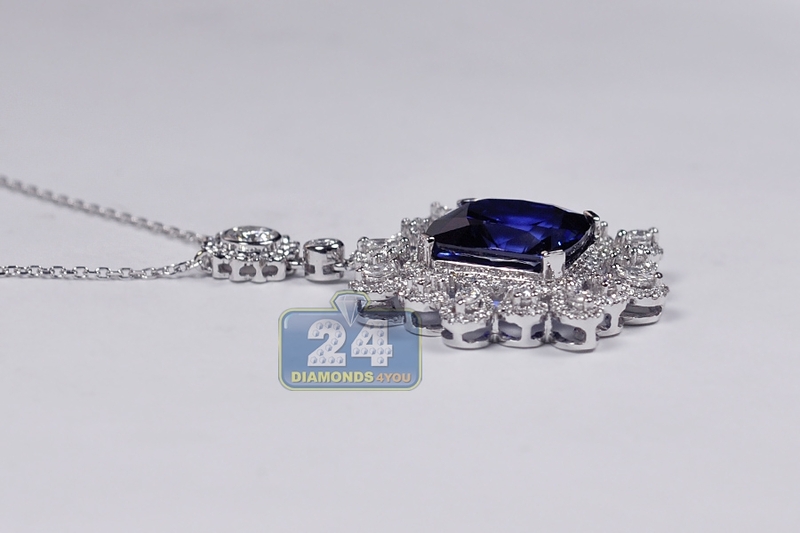 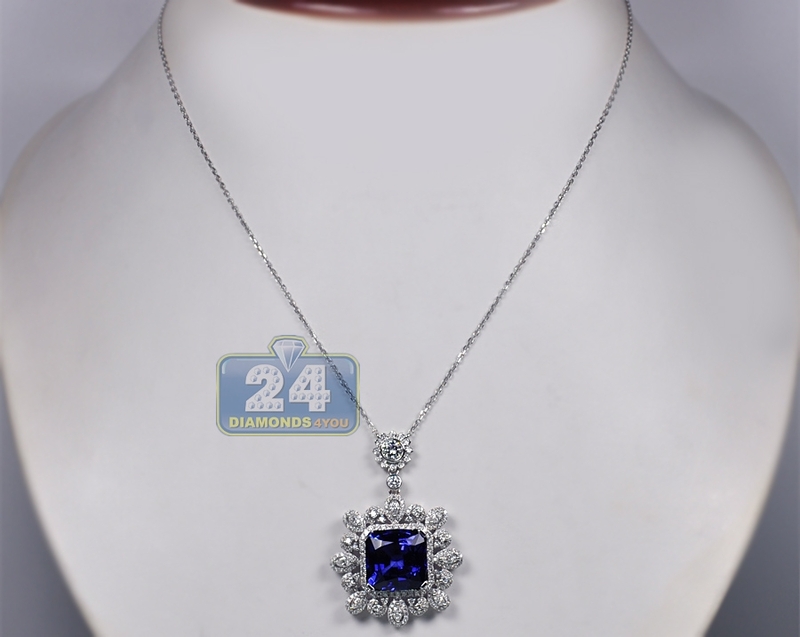 This women's sapphire necklace is an elegant display of illumination and brilliance!